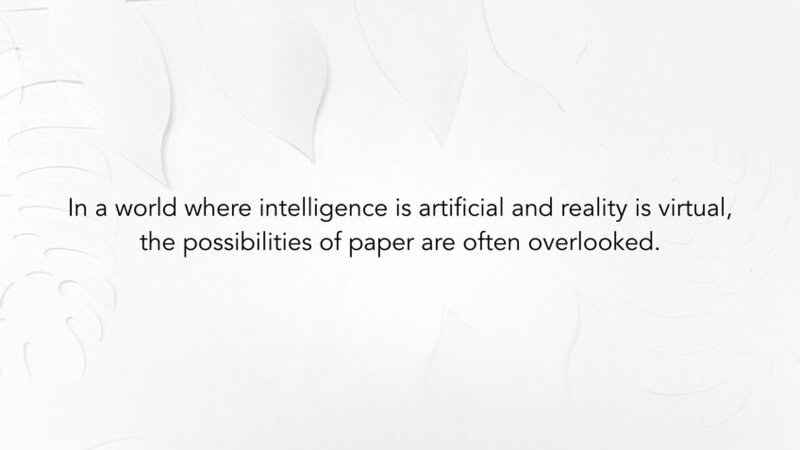 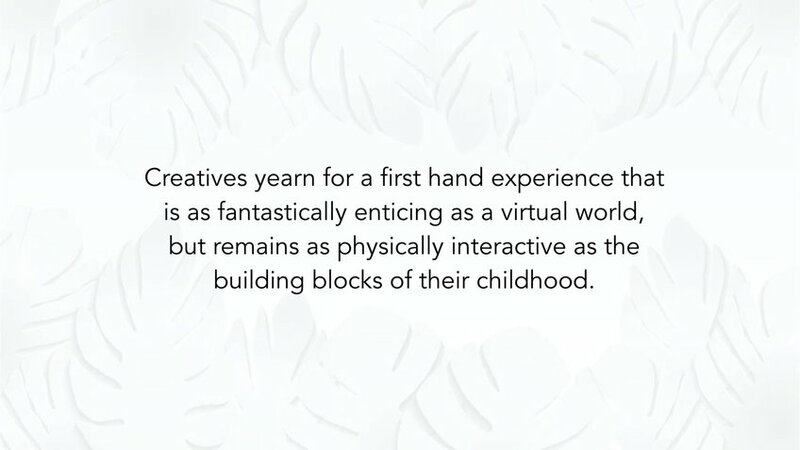 In a world where intelligence is artificial and reality is virtual, the possibilities of paper are often overlooked. 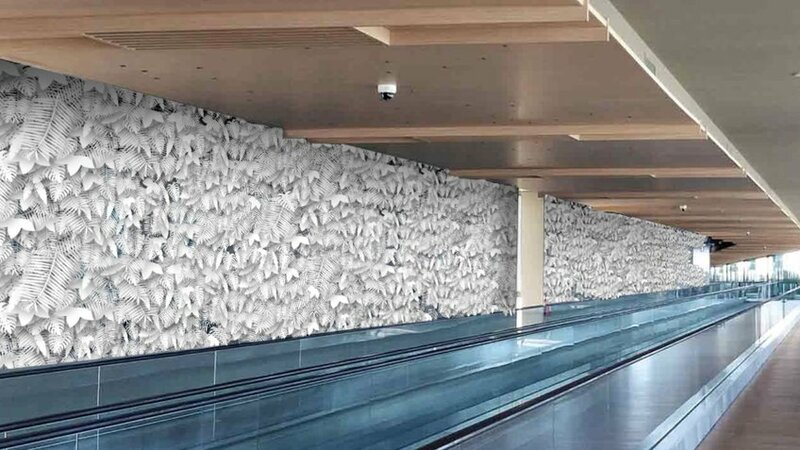 We hyperbolised the day-to-day creative potential of paper by creating an attention-grabbing installation. 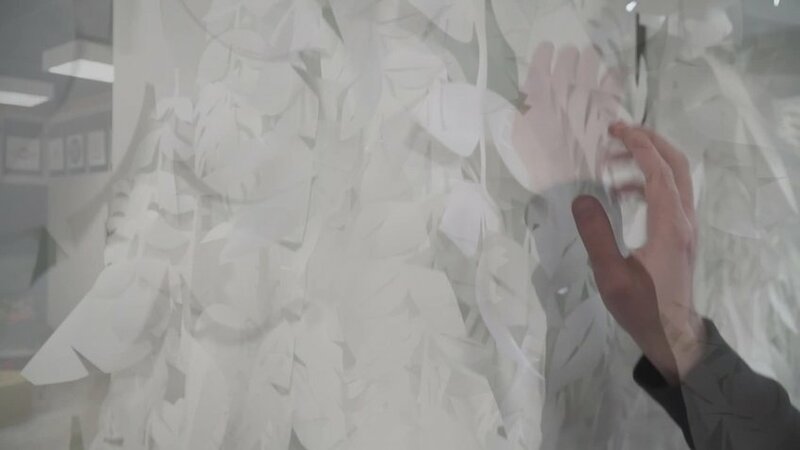 Each time someone touches a paper leaf on the wall, a note is played. 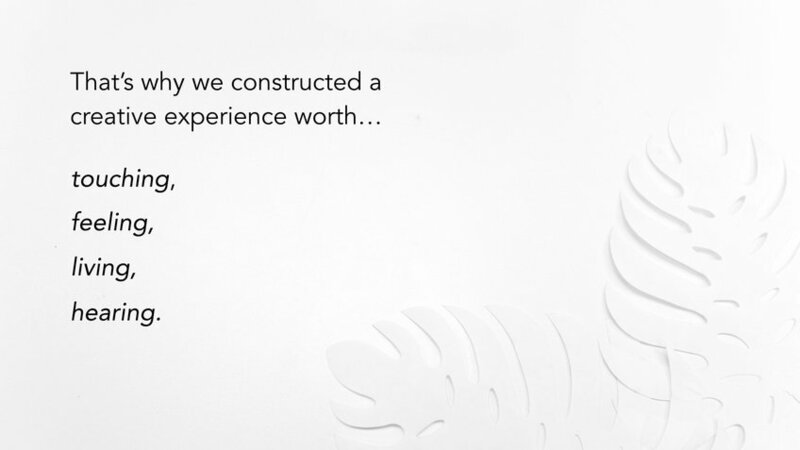 With collaboration and repetition, music is made. 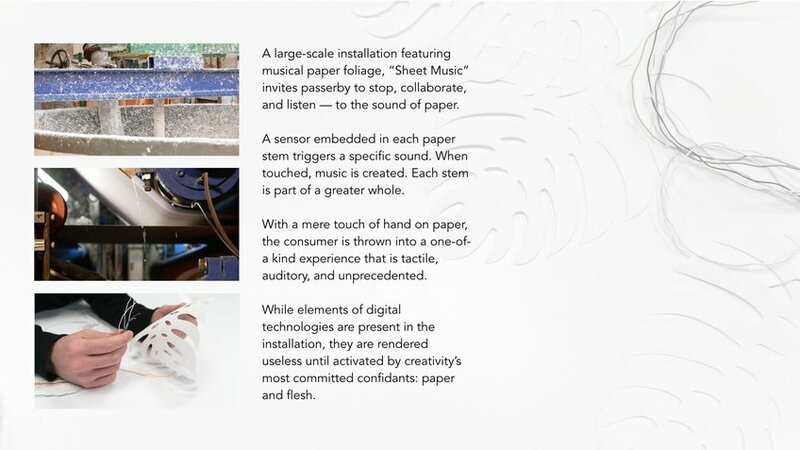 Pedestrians are invited to take part in a creative process that wouldn't exist without paper. 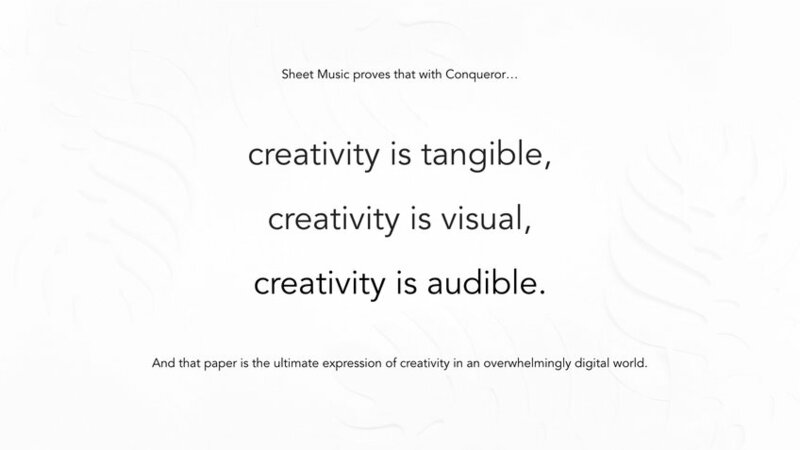 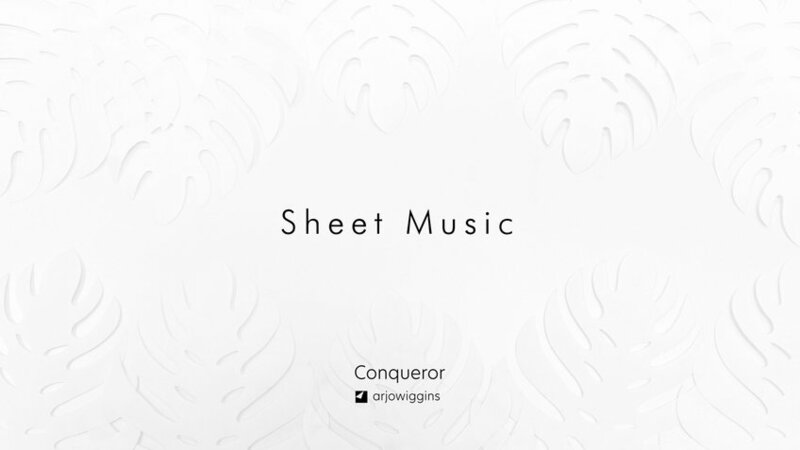 Sheet Music is an over-the-top analogy for the endless creations that would be nothing but ideas if it weren't for the physical presence of paper.